Non-English web series are becoming hugely popular around the world. This is true even in primarily English-speaking countries. Netflix has quite the variety of foreign films and series, and Asian media streaming websites like Crunchyroll now have millions of members worldwide. It’s really cool to see how different cultures are being shared with one another through the medium of film. This exchange of creativity can help bridge linguistic gaps as well. Long story short: Yes, you can binge watch a Chinese drama and improve your Mandarin skills by doing so. 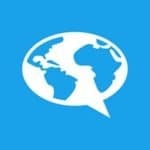 Chinese web series specifically are actually a great resource to keep on hand through your language learning journey. To make things even easier for you, we’ve put together a list of 10 awesome shows to start with. Before we get into our list, let’s look at what makes Chinese web series so valuable when it comes to learning Mandarin. Can Watching Chinese Web Series Really Help Me Learn Mandarin Chinese? Watching films and series in Chinese, with or without subtitles, can help improve fluency. Listening, comprehension and reading skills are all things that can be vastly improved by watching Chinese media. Advanced learners can benefit from watching Chinese shows without subtitles to improve listening skills and beginner or intermediate students can benefit from watching Chinese shows with subtitles. Watching Chinese series can introduce Mandarin learners to modern Chinese culture or Chinese history, which is an important part of language learning. When one learns a new language, it’s important to try to understand the culture behind the language. Not only is this an ethical choice that shows respect for the complex nature of the real people connected to the language, but getting a grasp on a particular culture can improve one’s contextual skills and fluency in the respective language. Adding some leisurely TV-watching time to your Mandarin study routine can help make learning the language fun, rather than rigid. Sitting with your lessons, notes, lectures, courses and worksheets is vital to learning Chinese, but it also gets boring really fast. Adding something fun like an episode or two of a Chinese web series into your daily study routine is a great way to keep learning and relax at the same time. To make the rest of your study routine addictive, too, we recommend learning with FluentU between TV binges. FluentU takes real-world videos—like movie trailers, music videos, news and inspiring talks—and turns them into personalized language lessons. So the short answer is… yes! To be clear, some of these shows originally aired on Chinese cable television rather than exclusively online. However, they now all have a big enough following online through streaming websites that we consider them worthy of this web series list. Check them out! This intense and emotional romantic drama is a rare treat in Chinese media. The show explores a relationship between two young men who are soon to be brothers by marriage. Unfortunately, the show was not renewed for a second season. Regardless, this is a beautiful and heartwrenching series that shines a light on some aspects of LGBTQ+ life in China today. This series currently features English subtitles on Viki (according to commenters, Chinese subtitles are being worked on) and would benefit beginner or intermediate learners looking to improve their listening skills. This historical drama web series follows the lives of various royals and nobles during the Liang Dynasty in China. It’s a series dense with betrayal, drama, romance, vengeance and action. Definitely something just about anybody would love to watch. Plus, you get a little dose of Chinese history in the mix as well. This series currently has English subtitles on Viki, but much of the dialogue is spoken quickly, so advanced or intermediate learners would likely benefit from “Nirvana in Fire II.” Try turning off the subtitles altogether and keeping up with the fast-paced dialogue. The Chinese love their historical dramas and romances. And why not? Many of these historical features are incredibly visually stunning as well as educational. “The Eternal Love” is no different. This series is definitely on the fantasy side of things, as the main character Qu Tan Er is possessed by the spirit of another woman after she attempts suicide to avoid an arranged marriage to the man she doesn’t love. What ensues is a strange and dramatic story with an ending that no one can predict. This English-subtitled series features easy-to-follow dialogue, so beginners, check this one out! This slice-of-life fantasy series is a unique one. In “My Amazing Boyfriend,” a young actress must share her home with the otherworldly spirit she has accidentally awakened from a long slumber. It’s definitely a cheesy romance series, but it’ll grow on you even if that’s not your cup of tea. “My Amazing Boyfriend” is available on Viki with Chinese and English subtitles, so all levels of learner can benefit from watching this series. This romance series follows the antics of Chen Xiaoxi, a young aloof woman obsessed with dating her apparently uninterested and kind of indifferent neighbor. 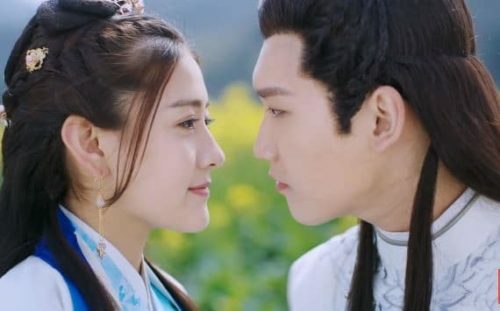 “A Love So Beautiful” has both English and Chinese subtitles on Netflix and the dialogue is fairly easy to follow, so any learner could improve their language skills by watching. We’ve got quite a few fantasy series on this list, but China just keeps making great ones worthy of binge watching! This fantasy series called “The Starry Night, The Starry Sea” is about a woman who decides to relocate to a small island town to care for her sick grandfather. Surprisingly enough, she encounters a merman prince looking to maintain his immortality. This series has simultaneous Chinese and English subtitles on YouTube, making it a great show to watch if you’re trying to improve your reading and live translating skills. A group of families with mystical powers band together to protect their sacred and magical city. Think Chinese-style steampunk meets historical action-adventure. There are English subtitles, but the quickly spoken dialogue, often with more than one person speaking at once, makes this challenging enough for advanced learners to watch. In the midst of a civil war, a young peasant begins training to essentially become a medieval secret agent. This show is super dramatic and packed with action. Plus, the English subtitles and simple dialogue make it accessible to all Mandarin students. This fantasy adventure series has a dark edge to it. In a bizarre river town, a cop tries to stay on the tail of an evil being, who appears to be some kind of ultra-powerful witch, in order to save his home and the people he cares for. With English and Chinese subtitles and easy-to-follow dialogue, this show is definitely for anybody wanting to learn Chinese and watch some spooky crime thrillers. Even China jumped on the hospital-drama bandwagon. “Medical Examiner Dr. Qin” follows a forensic doctor and his fellow investigators as they attempt to solve violent crimes, usually murders with mysterious circumstances. This show has English subtitles. While it requires quite a bit of listening, it’s still simple enough for beginners to watch and benefit from. Are you ready to binge watch some of these seriously addicting Chinese web series? We suggest taking notes along the way, especially if you encounter unfamiliar or difficult words in any of these shows’ dialogues. Good luck, and don’t forget to give your eyes a break here and there!